After downloading the map, it felt quite disappointing. You can certainly see there has been spend some effort, but it lacks certain basic elements. The skybox is not the best choice for a daylight-themed map (as it is a night-themed one). 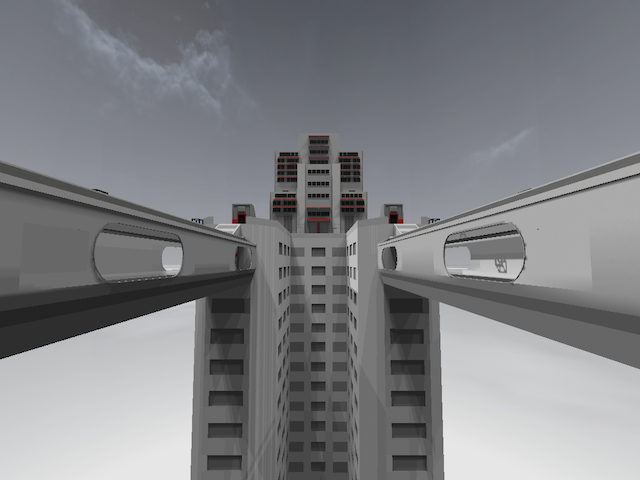 The geometry isn't optimised; there are windows inside the buildings also (which explains that huge ammount of wtr). It misses a proper texturing and lighting. There are no pickups at all. Such a shame for a map with that much potention if you ask me. Package it correctly and add a proper license to the map also. I'm sorry to say, but Quadroplis still isn't a place to dump your content on.